As Minister for both Digital and Culture I have been struck by how well these two worlds of creativity and technology complement each other. While travelling the length and breadth of the UK, I’ve seen countless examples of how cultural organisations are using digital technology to increase access, interest and excellence in the arts. And I have seen digital businesses using design and artistic creativity to meet their users’ needs. Just as digital can help people access culture in new ways, and more widely, so cultural content can drive people towards digital, and to adopting new technologies as they emerge. So today I am launching our new Culture is Digital project with a conversation between Government and both tech and the cultural world about how we push this natural synergy further. This project builds on our commitment in the Culture White Paper to review the digitisation of our public collections and the enhancement of the online cultural experience. In our recently published Digital Strategy we made commitments to driving digital skills, increasing digital participation and unlocking the power of data. We also stated a clear ambition for the UK to be the best country in the world to launch and grow a digital business and to trial innovative technology. Alongside this, we have an ongoing commitment to artistic and cultural excellence which is the envy of the world. I want to ensure we are positioned to be a leading creative powerhouse in the digital age. The partnership between cultural and digital industries will help do that. It is fitting that we conduct this conversation online. This is the first in a series of guest blogs designed to provoke discussion and share ideas across social media. In the coming weeks, thought leaders drawn from across the arts, heritage and tech sectors will be blogging and sharing their expertise and thinking on a range of issues this project will consider. Our cultural output has always been a great calling card to the rest of the world. As we prepare to leave the EU and build a truly Global Britain, it’s more important than ever that our cultural organisations thrive and that our great cultural assets reach as wide an audience as possible. And at home I want art and culture to reach beyond their traditional heartlands so everyone can benefit and no one in the UK is excluded. By embracing new forms of distribution and creating new forms of experience, digital has an exciting role to play. This project is part of the Prime Minister’s drive to build a country that works for everyone. And we mustn’t forget that although we live in an increasingly online world, a significant part of the UK population remains digitally excluded. One in 10 adults have never used the internet. This Government is committed to improving coverage and infrastructure but to address this digital divide we must also look at the motivators for getting people online. Here cultural content has an important role to play too. Can the two sectors do more to support each other in increasing participation? Digital technology also presents a fantastic opportunity to push our reputation for innovation and creative risk-taking and for seizing the commercial benefits these bring. I want us to look more closely at creating hybrid content, mixing traditional story-telling techniques with emerging technologies. This requires an ongoing dialogue so our artists and creative industries know of opportunities as they arise and the digital sector can realise the full potential of each innovation. Content Infrastructure: Ensuring the digitisation of collections, aggregation, interopability and knowledge are in place for digital accessibility to thrive. Cultural content and technology: Enabling new formats and mediums for cultural production, experiences and art forms. Access and Participation: Supporting new forms of cultural and digital participation and boost community engagement in culture through digital distribution and content. Digital skills, IP and business models in cultural organisations: Supporting cultural organisations to develop the right digital skills and capability to drive innovation and resilience. Each strand will be discussed in greater detail over the course of these blogs. This project is very much about collaboration. Our aim is to produce a series of targeted proposals informed by your contributions in response to these blogs, in conversation with the team at DCMS and through a more targeted evidence-gathering stage, which we’ll launch in the coming months. There will be lots of opportunity for you to share your ideas and I really welcome your input. There is much to discuss and I’m sure each step will throw out even more questions and areas to consider. I want us to make sure that as we weigh up the challenges we do so with the best and most wide-reaching evidence. Our end product will be drawn from your experiences and suggestions based on best practice that empowers people to bring about change within their own organisations, by pointing out proven success. So get thinking, talking, tweeting using #cultureisdigital, and most of all get involved. This is a very good initiative but I think there is another strand 5) Digital regulation and compliance, that needs to be developed alongside this. The rosy-tinted positives will make all the running but it is the Wild West factor that we forget that develops just as fast and usually too late to effectively address. It would be great to have a way to subscribe to this blog and get email alerts when new articles are published. I agree. That would be really useful. Push as well as pull. Really excited to see this initiative because of the opportunity it presents to connect the unconnected with art and culture, often already under their noses. Like many I was disappointed when I was told (in my thirties) that Dippy, who I had marvelled at in the Natural History Museum, was a fake. And later realising that the wonderful sculptures, columns and in the V&A too were reproductions. As cheap long distance travel rendered them museum relics enjoyed by the few and not the most treasured experiences of far flung cultures they once were. So now with all the technology we have, how sad in the last few weeks to have been working in schools in Telford with children unaware of the culture and heritage literally on their doorstep. Like others in Plymouth who have never seen the sea. 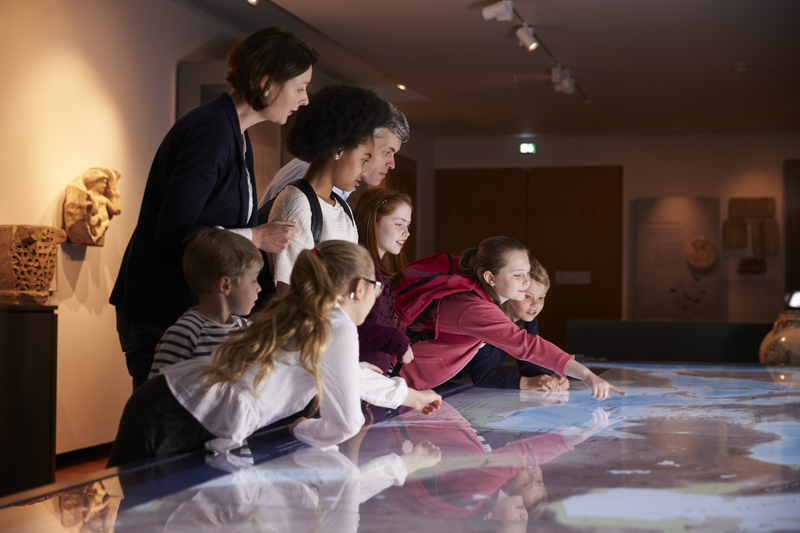 Children who have never been with schools or families to see Ironbridge Gorge’s exhibits, stories and experiential reproductions poised to inspire them with creativity to engage them in their school work, to connect them with life and career opportunities and bring their communities together to celebrate their heritage. Only a few weeks ago at a Creative Industries Federation event at London’s City Hall, to discuss the role creativity might play in the UK’s Industrial Strategy, it was fantastic to hear Lord Heseltine quoted: “if you want an industrial strategy, start in primary schools”, echoing the words of Lord Robert Winston on the same stage 4 years earlier: “STEM? You need to get them in primary”. So it’s been the most exciting couple of days, working with a handful of primary school leaders, and two super connected local consultants across digital media and STEM subjects, pulling together the bare bones on which to build an event to celebrate creativity and how it can engage children, innovate business and connect communities, looking particularly at how we might reconnect with and draw inspiration from our industrial past. A STEAM Co. regional launch event for Shropshire to power communities to inspire their children with creativity by helping them run STEAM Co. Days, school days like no other. A theme inspired by a young boy in a class last week as well as the CEO of one of the UK’s biggest businesses who referenced how previous revolutions have benefitted few people. And where better to hold such an event than the birthplace of the first industrial revolution, the inspiring Enginuity centre in Coalbrookdale in the shadow of the Ironbridge itself. Enginuity is a fantastic science museum, activity centre and FabLab maker space in an old steam engine workshop in Coalbrookdale, at the very heart of the birthplace of the first steam powered industrial revolution. The steam boiler house there literally built the world’s first ever steam engine for Richard Trevithick from Cornwall, who felt they were the only people capable of building a boiler strong enough to resist the pressures he was thinking of for his engine. If you’re in the Shropshire area and would like to attend, or help or sponsor the day, visit this blog post we wrote today, see the film and sign up on the link below for further information as the day unfolds.